Fantastic family home equipped with all modern comfort. Private house located in a fantastic resort in Calpe. 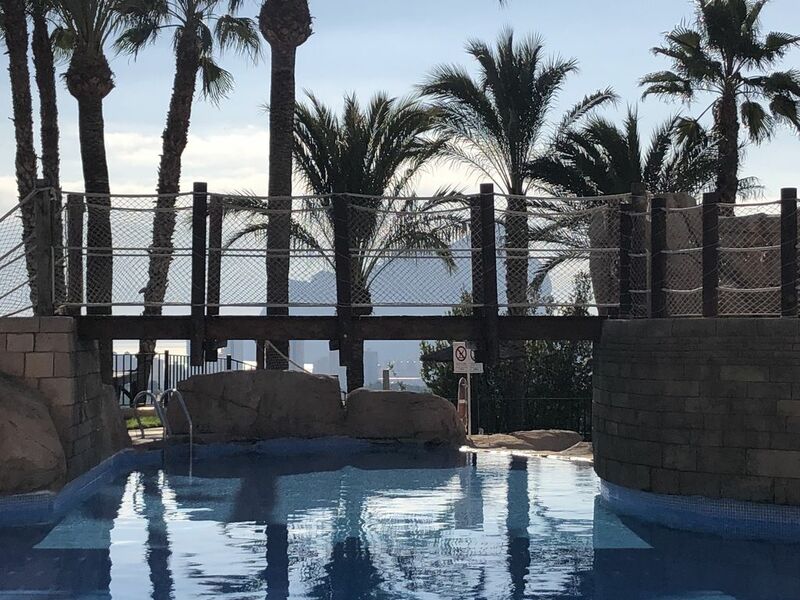 The holiday park with the largest aqua park on the whole of the Costa Blanca, with 6 swimming pools, connected to waterfalls, gijbanen (70m) and bridges, and lined with beautifully groomed sunbathing areas and free sunbeds. Our property boasts 3 bedrooms and 2 bathrooms and offers comfortable accommodation for 7 guests. The property features all modern luxury, private WIFI, decrypted satellite TV with over 300 international channels, a fully equipped kitchen, Weber BBQ and breathtaking views of the Mediterranean Sea, Penon de Ifach, and the Calpe skyline. Full access to the aqua park is unlimited for all guests included in the rental price. During the season there are rescuers, as well as animation for children and adults. For a fee, you can join the hotel's bufets or relax in the 2,000m2 wellness area. There is a shuttle bus for free transfer to the nearby beaches. Table tennis, miniature golf, archery, ... everything is included in the rental price. Enjoy all the luxury that the Resort with Hotel Service offers you, combined with the privacy of a private property, where you decide your daytime rhythm. Calpe is easily accessible via the airports of Alicante or Valencia, or via the motorway. The Resort offers a Spa Wellness or 2.000m2. The park offers free animation for children. Games, games and sports are organized daily. Outside the park, there are theme parks: Terra Mitica, Aqualandia, Mundomar, Terra Natura & Aqua Natura and Festilandia. In Calpe you will also find Golf Golf Ifach, a swimming club, a football stadium with artificial grass training grounds, an indoor swimming pool, a tennis club, a diving club, a sailing club, guided bike tours ... in short, whatever you wish.